Everyday's Business. Step by step Dell equips all its notebooks with Santa Rosa technology. Of course, also the Latitude business series goes Santa Rosa, first and foremost the D830. The classical 15.4 WXGA office notebook scores especially high by a robust magnesium case and good equipment. The advantages of the D830 compared to its predecessor, the D820, can be found in this review. Of course we were curious, if also the case was changed in the course of the update to the Santa Rosa technology. After scrutinizing it, we are sure that the D830 has the traditional look. Decent gray in gray design still ensures a cool business-like look. Also the robustness is unchanged. Alike the D820 also the D830 has a very stable case, which is pressure resistant and flexural rigid. Alike its predecessor the case is mostly made of magnesium parts, which contribute to the case's robustness. 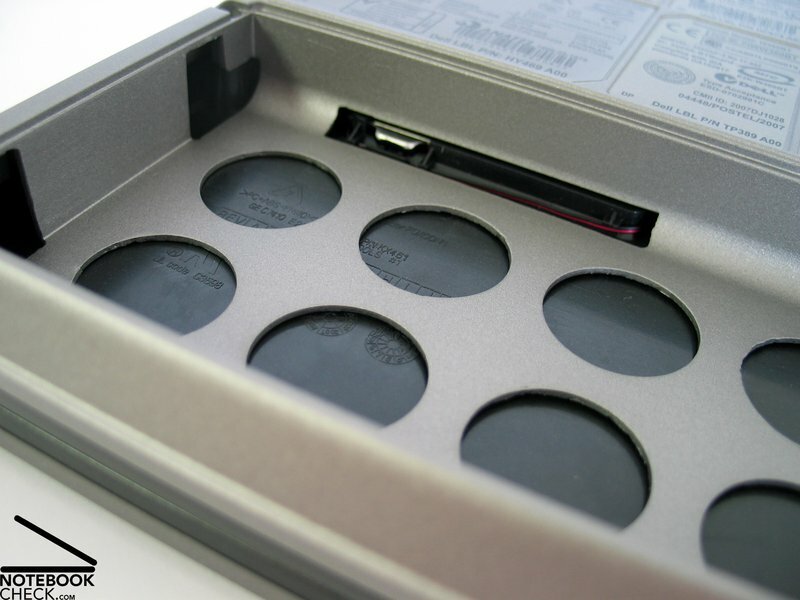 Also the light clamshell design of the display is unchanged and provides good flexural rigidity and a closed state, which protects the display against dust penetration. Both hinges seem spacious and robust and keep the display in its position with hardly any see-saw. The ramshorn hook is made of metal and works alright, but, we noticed that it is somewhat loosely attached to the case. 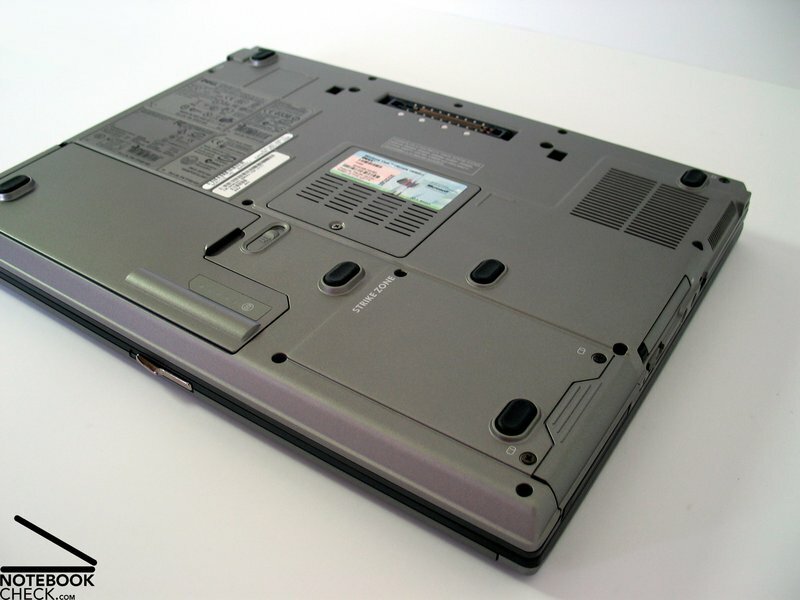 The D830's interfaces are typical Dell mainly placed at the notebook's backside. 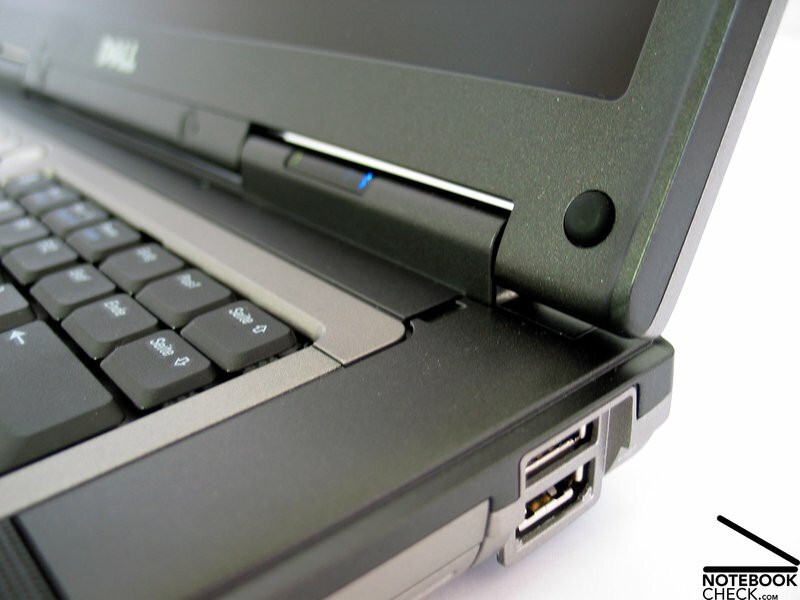 Again a so-called "powered USB" port is provided. This is a standard USB port with separated power supply which makes it possible to connect external devices with higher consumption. Among others also a serial port, which is still demanded in the fields of control and machine programming, is provided. The keyboard has a good layout, similar to desktop PCs. Furthermore, the keys are adequately big and typing feels soft and comfortable. Still, the point of pressure is clear. The keyboard is attached tightly to the case. Maybe some users might complain about a somewhat too hard stop at the end of the key stroke. The track point reacts very sensible to pressure, so unintended clicks are frequent. Even after adapting the driver settings, this is still true. 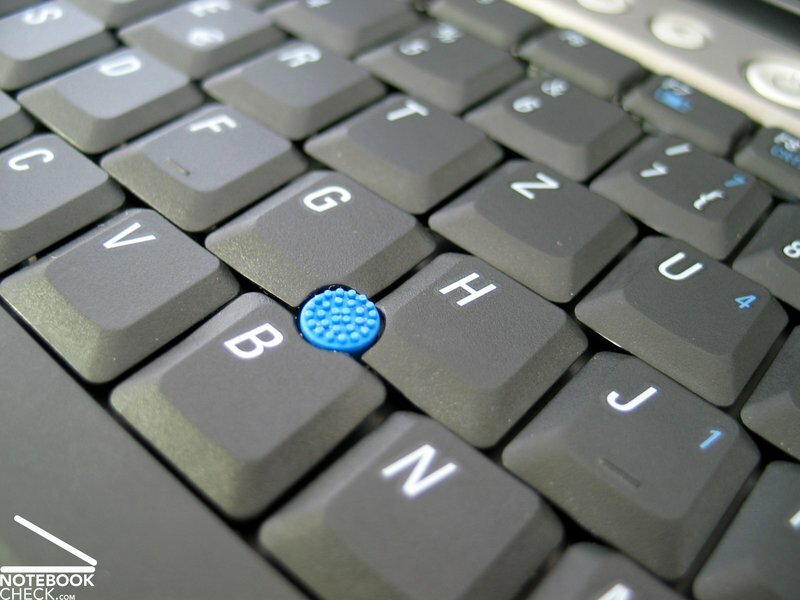 Changing the speed of the mouse pointer with the track point is especially difficult, because the edgy knobbed surface sticks a little too little to the finger and is not really ergonomically. 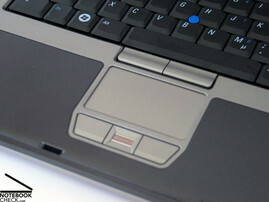 The wide touch pad has a smooth surface with good sliding properties. 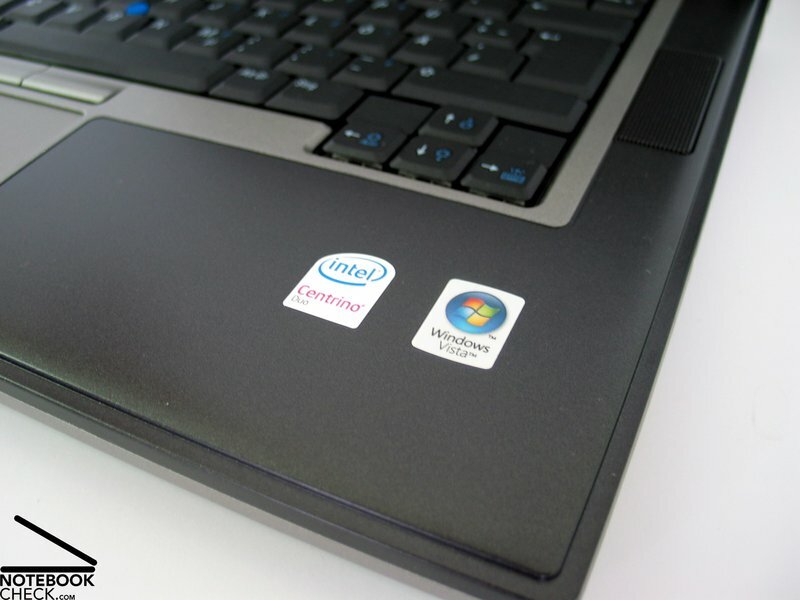 It allows to precisely control the mouse pointer. Both of its buttons are user-friendly with sufficient travel. Between them there is a fingerprint reader. 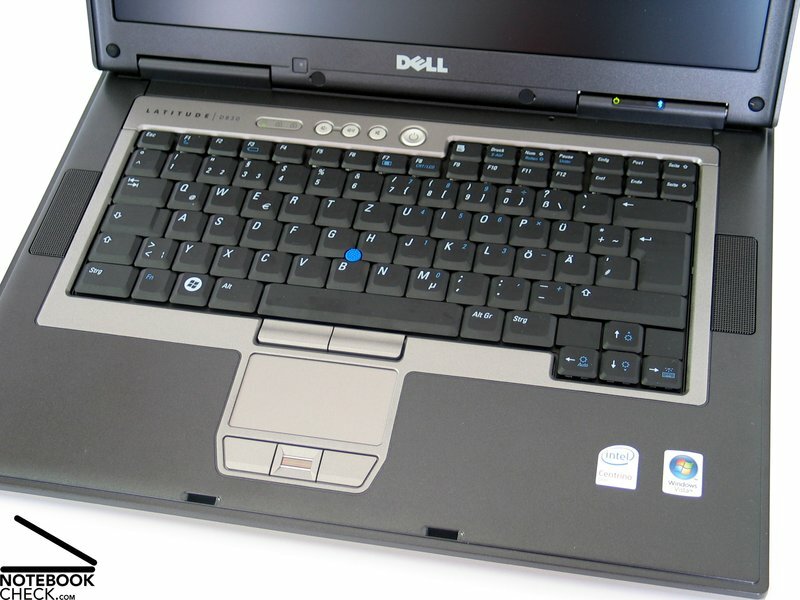 The Dell D830 provides only three hot keys which are dedicated to volume control. 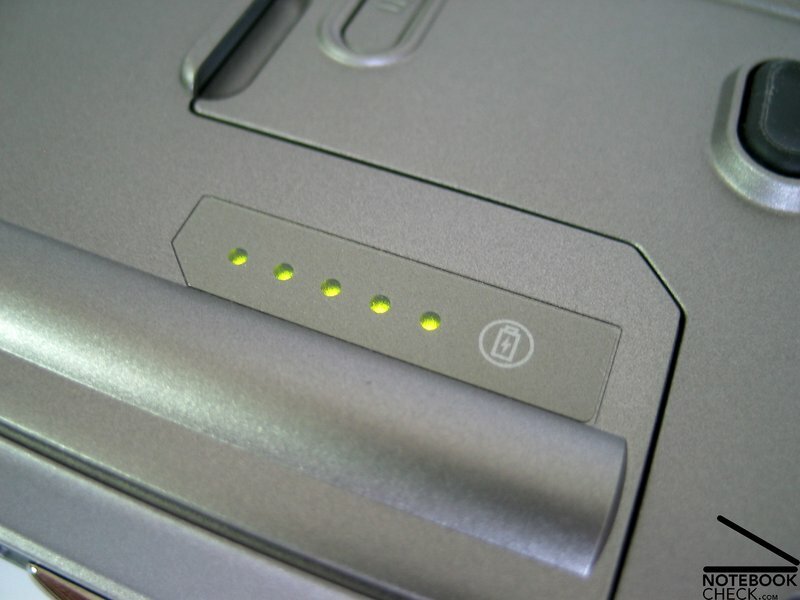 The WLAN can be activated by a slide switch located at the right side. It and also the display's transport hook are a little rickety. 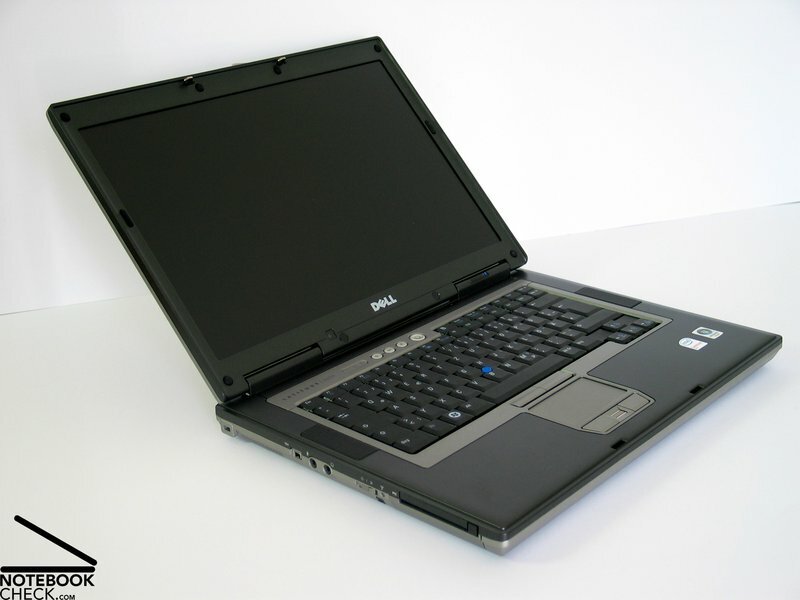 Different display versions are available for the Dell Latitude. 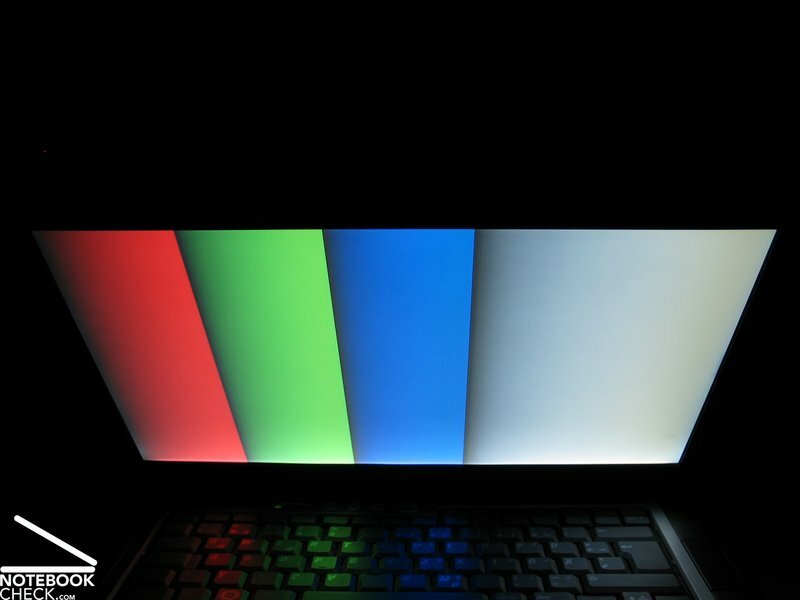 They range from the 1280x800, the current base version, a 1680x1050 WSXGA+ panel to a top WUXGA display with a resolution of 1920x1200 pixels. 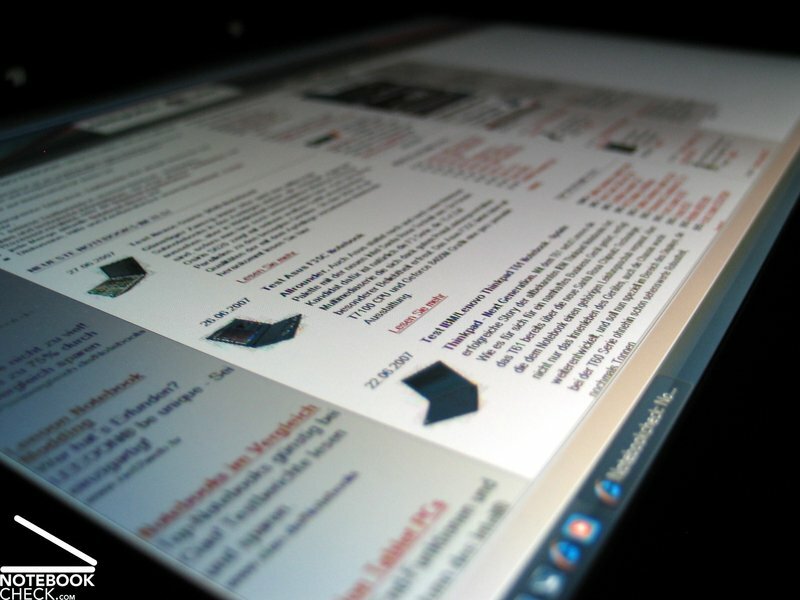 The display surface can be either a reflecting Ultra Sharp solution, or alternatively matt. 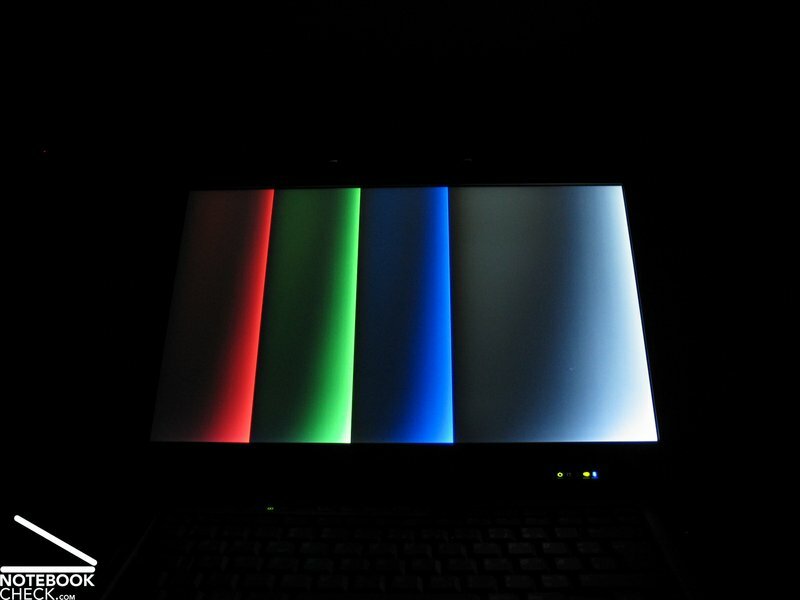 The reviewed notebook was equipped with a non-reflecting 1680x1050 display, which is a reasonable solution. 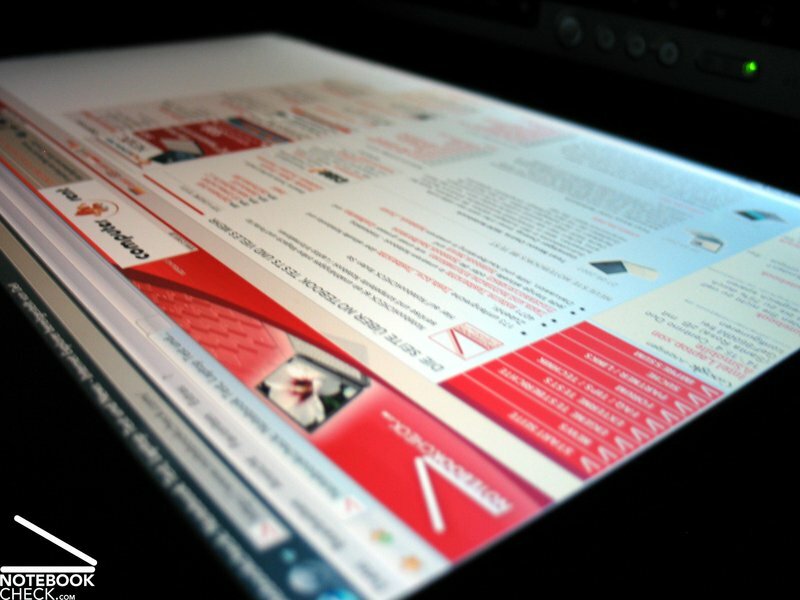 The WSXGA+ panel combines overview with comfortable font size, so, its ideal for Windows Vista. 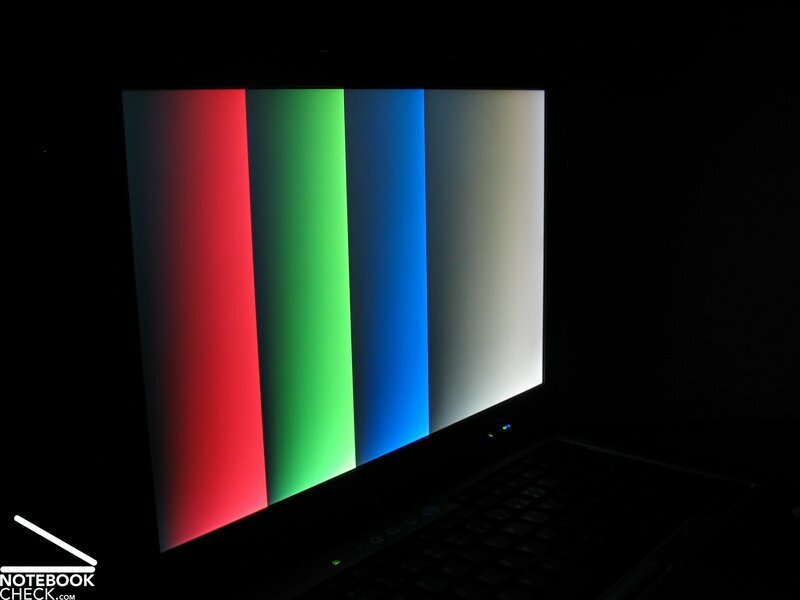 The display's brightness is very good with up to 186.3 cd/m² in its lower part. However, the brightness clearly declines to the top, so the illumination is only 64.2%. 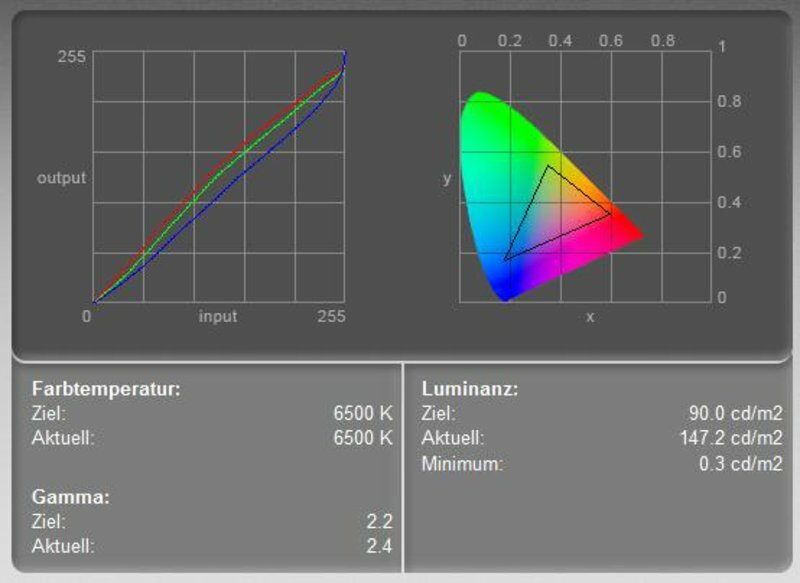 The measurement diagram of the display calibration depicts that the blue color curve has to be lowered to calibrate the colors. The low black value and the good maximum brightness result in a good maximum contrast. A contrast ratio of calculated 621:1 is a perfect study. The WSXGA+ panel is also alright regarding speed of reaction. On the one hand the Dell Latitude D830 should be fit for outdoor usage, because of a matt display with good maximum brightness. However, because the brightness clearly declines especially at the top of the display, outdoor usage is not completely trouble-free. Horizontally, the stability to the vantage point is alright. 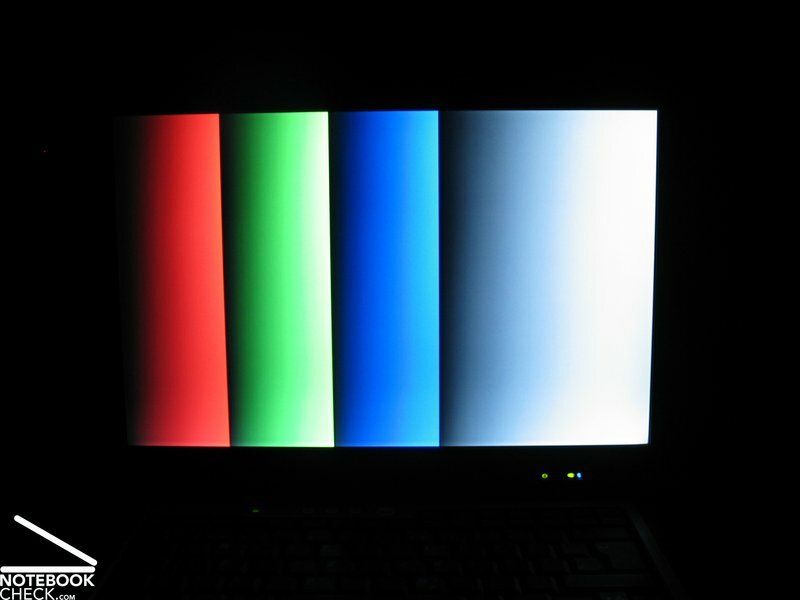 Vertically, you'll quickly face, especially when looking from bottom up, a heavy darkening of the display. The area of operation is vertically rather narrow and just sufficient. 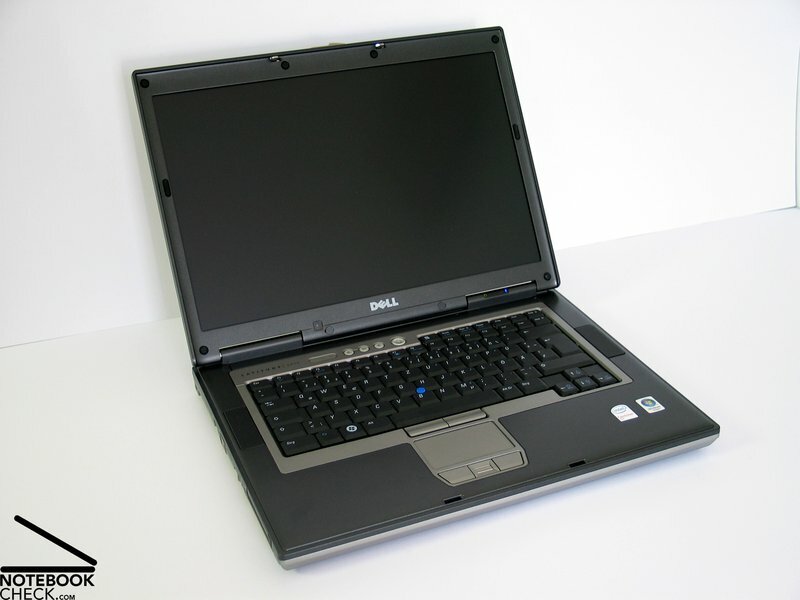 As already used to, you can also choose between a variety of equipments for the Dell Latitude D830. 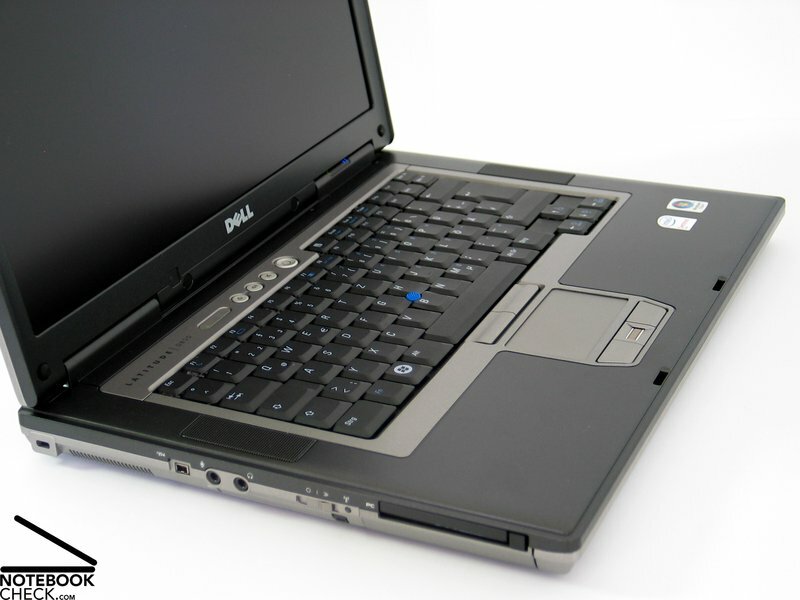 At the time of writing, the whole range of processors of the Core 2 Duo series from T7100 to T7700 is offered. 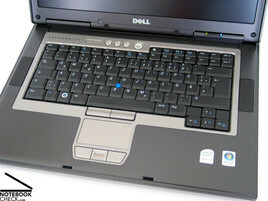 The reviewed notebook was equipped with todays most powerful mobile CPU, the T7700 with 2.4GHz. Regarding mobile computational power there is, therefore, nothing left to be desired. This is also proved by the performed benchmark tests. In the reviewed notebook an integrated GMA X3100 video card was responsible for graphics and 3D. This is the successor of the integrated GMA 950 GPU. 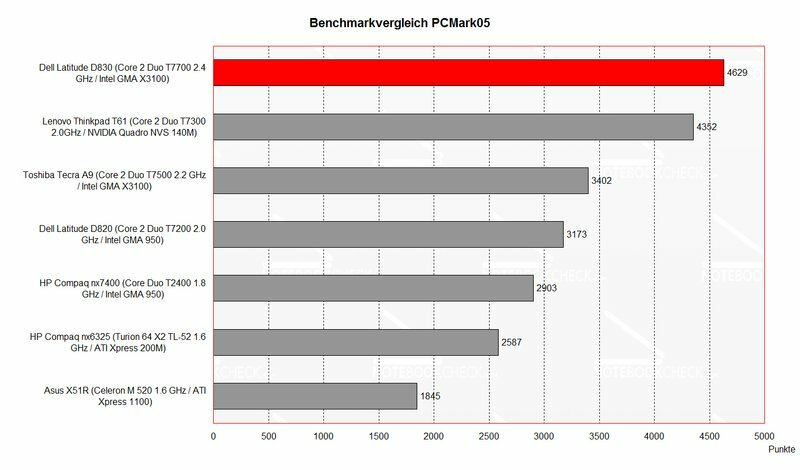 The performance of this solution is alright and comparable to a X1300 or a Geforce 7300. Still gaming is not one of the intended tasks for this notebook. 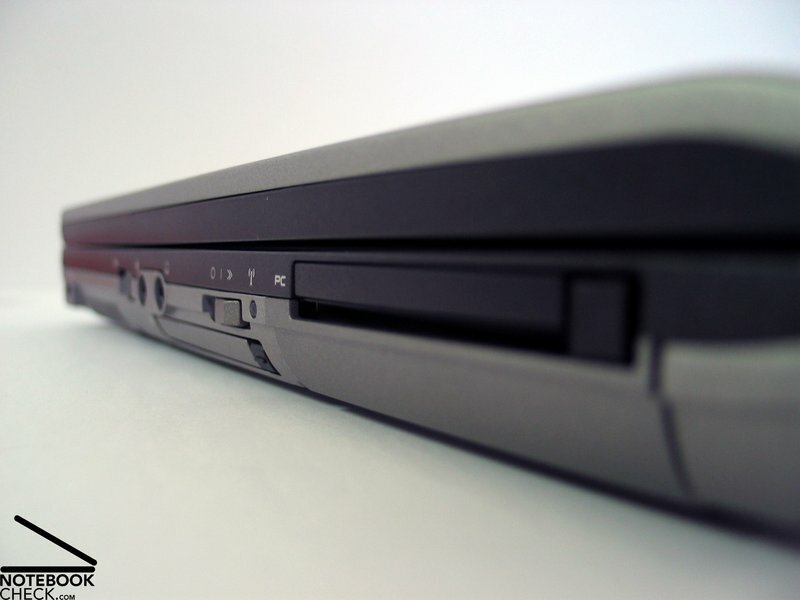 Combined with 2GB main memory and a very fast 120GB hard disk the Latitude D830 is a powerful office notebook. In Idle mode the fan runs all the time, and this is also audible in quiet environments. However, the noise level is not really annoying, as it is a rather rustling noise. Sometimes, the fan's revolution speed is increased and you can hear it a little more. Although the revolution speed clearly increases under load, a maximum noise level of 42.3 dB is yet alright. Furthermore, it's unlikely to reach this noise level during standard office operation. 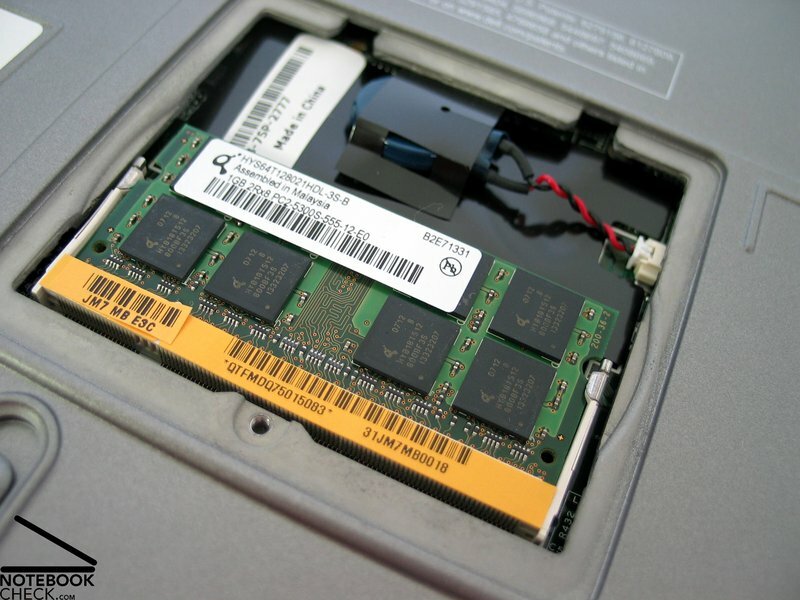 The built-in hard disk drew our attention, because it clearly clatters and creaks in use. 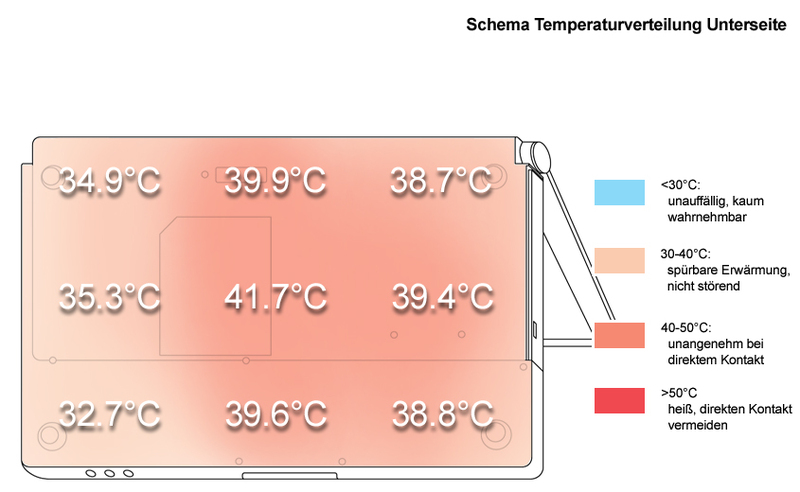 Besides a clear increase at the bottom side, where 41.7°C are reached, the temperature emissions of the D830 are alright. 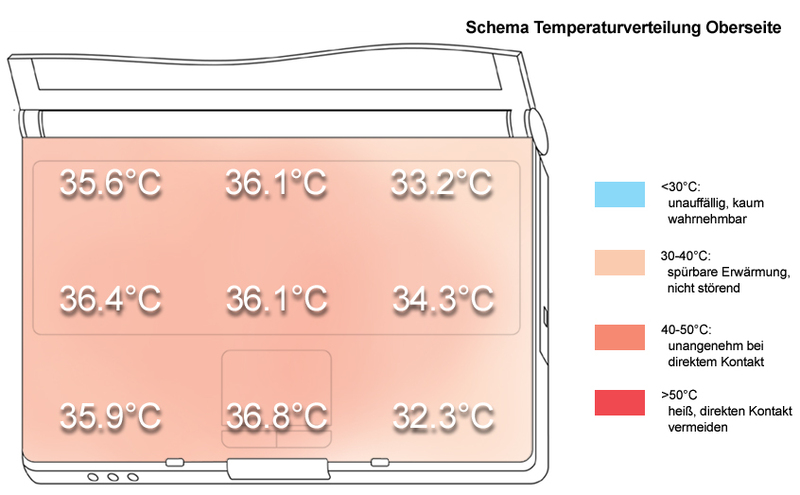 Especially the maximum temperature at the top side of only 35.2°C ensures a comfortable use. 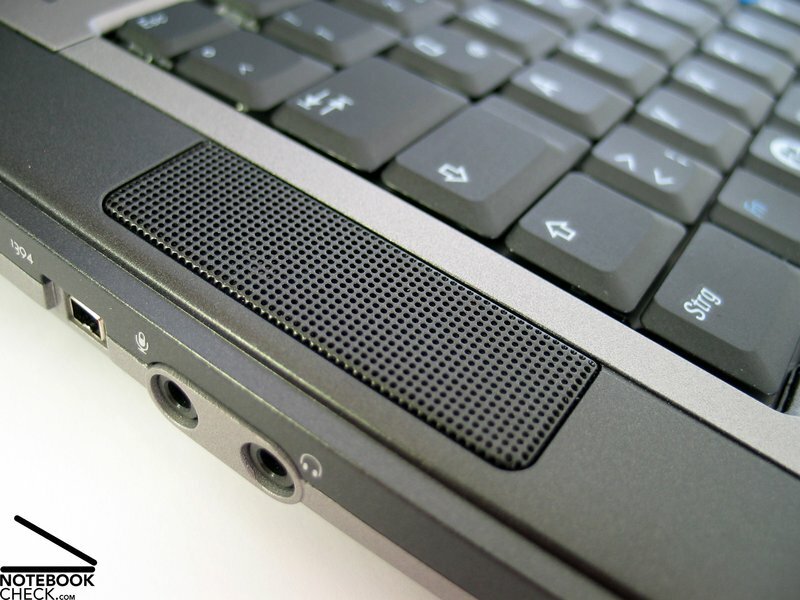 The speakers are located left and right beside the keyboard and provide good and clear sound. Even the basses are up to a certain degree alright. Also the maximum volume is alright, however, the sound starts getting unclear and the speakers blast at about 75% of maximum volume. 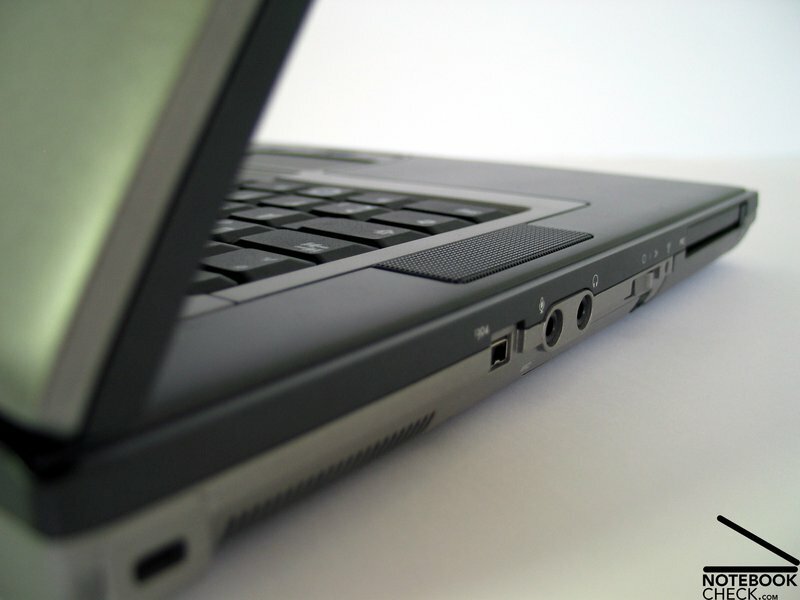 The reviewed notebook was equipped with a powerful 85Wh battery which is about comparable to a 7600 mAh battery. 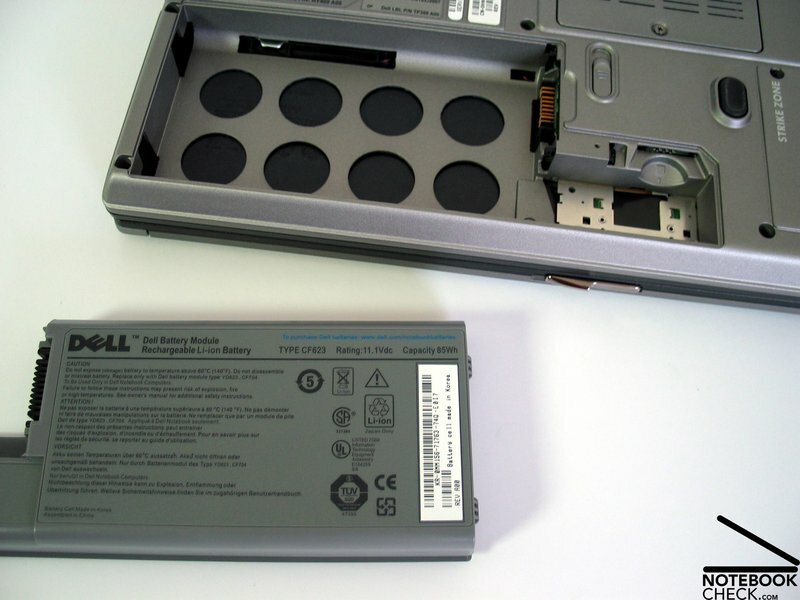 So, the Dell Latitude D830 has a good battery runtime. The measured runtime ranged from about 2 hours under load, and more than 4 during WLan usage to a maximum of 9 hours without load and with optimized energy settings (WLan, Bluetooth, LAN off, minimum brightness, energy saving mode). 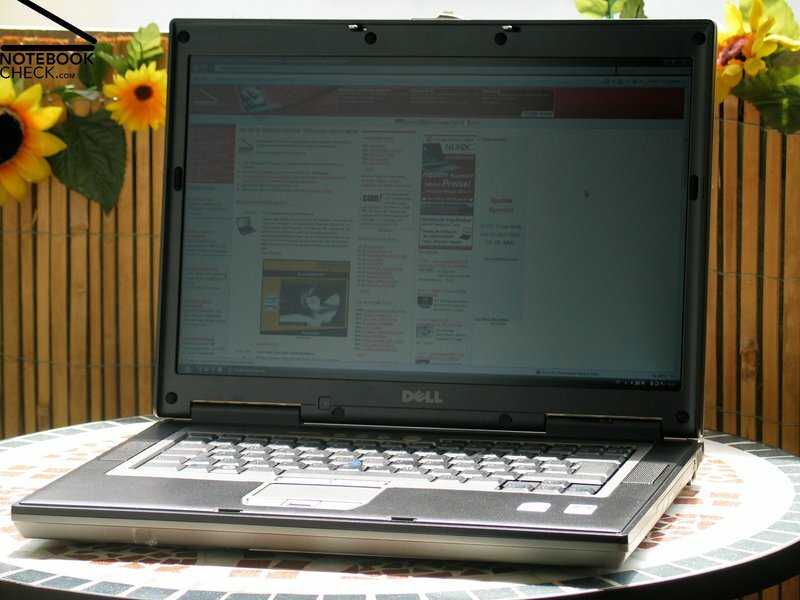 Overall, the D830 can be called a very mobile notebook. Considering that the D830 can be equipped with a supplement battery attached to the modular drive, the mobility of the D830 is excellent. 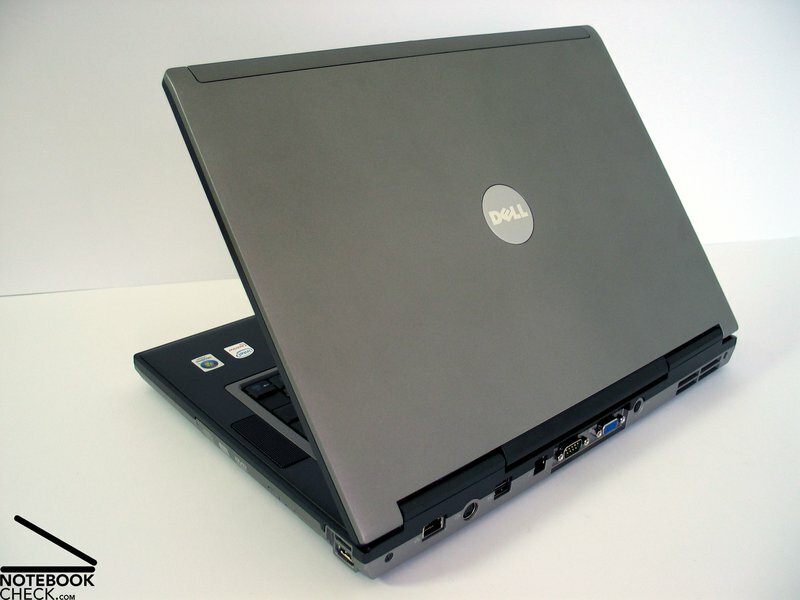 In general the Dell Latitude D830 meets the requirements of a reasonable business notebook. 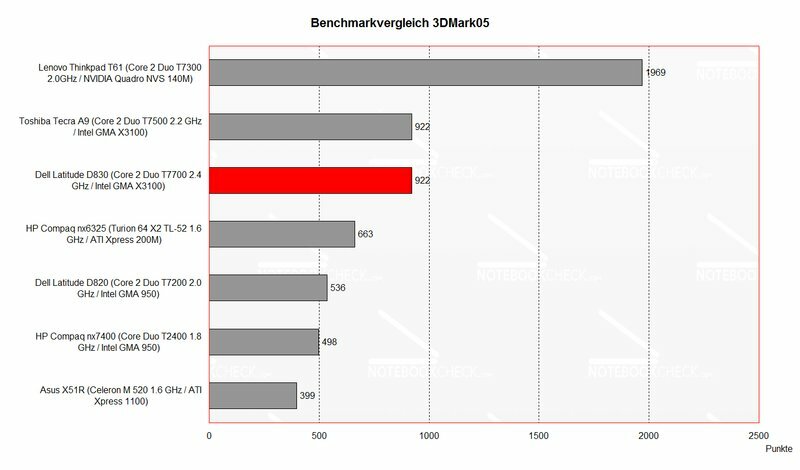 Regarding performance it clearly outperforms the D820, its predecessor. But, this is also a result of the good equipment of the reviewed notebook. Equipped with an especially robust and durable magnesium case, the Latitude D830 meets the business notebook's demand for an indestructible and persistent case. Also the decent design makes it look business-like. Another important aspect are of course user-friendly input devices, which allow to work for a long time without problems. 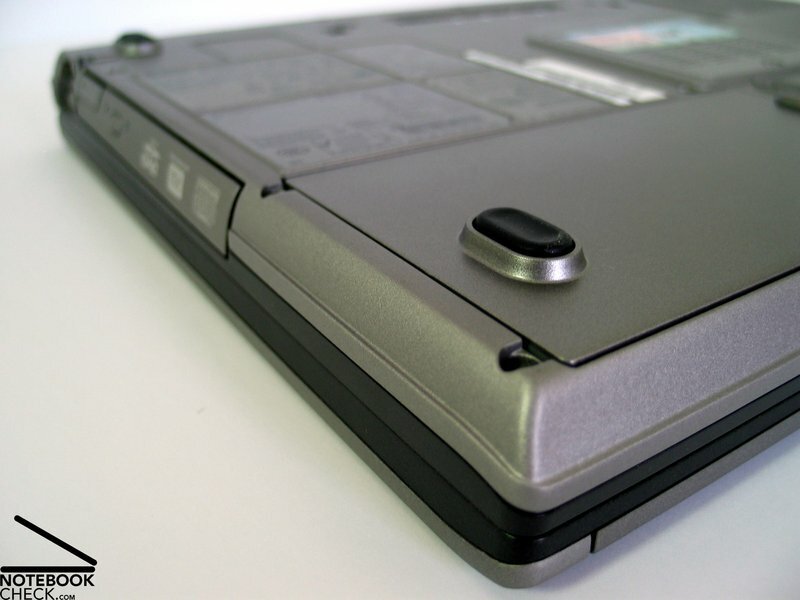 Regarding this aspect, the D830 has a keyboard with a clear layout and a user-friendly touch pad. Only the track point did not really convince us. 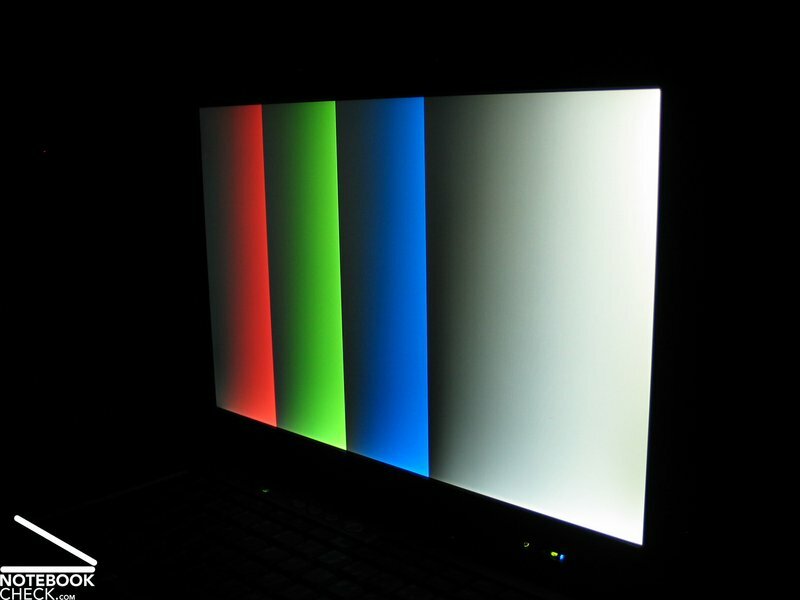 The display's strengths are a matt and, therefore, non-reflecting surface and the concise WSXGA+ resolution. A weakness is the poor illumination, which is a result of the brightness declining at the top edge. Another pro of the D830 is that you can choose between a number of display version. 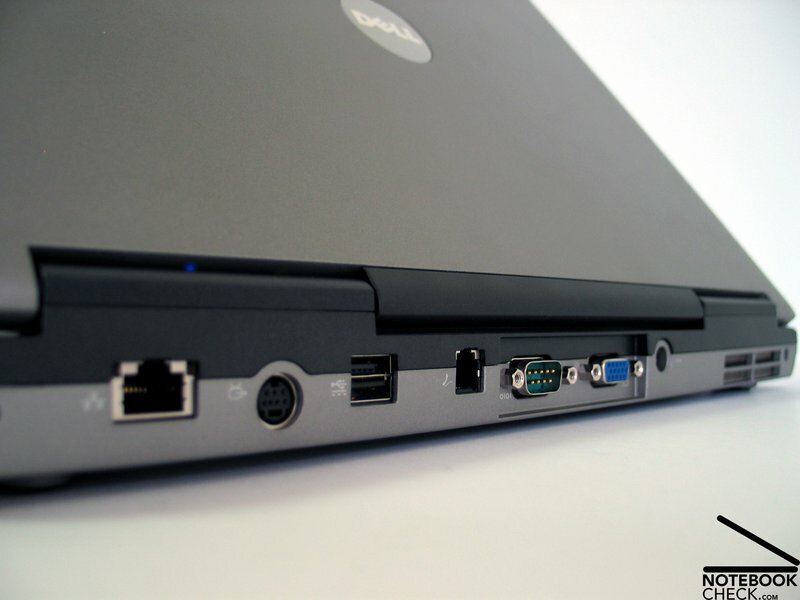 The Latitude D830's performance is, as for the reviewed notebook, very good, because of a powerful mobile CPU (T7700), 2GB Ram and a fast 120GB hard disk. Considering it is an office notebook, hardly anything is left to be desired. Emissions of the notebook are, especially considering it is an office notebook, something which should not be neglected. In our case, the Latitude D830 met our expectations in some degree. We need to mention that the fan ran all the time, but, overall the noise level of the D830 is passable. 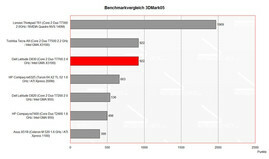 Finally, the D830 also scores high regarding battery runtime. Equipped with a powerful 85Wh battery the runtime is in between 2 up to impressing 9h. In practice about 4 hours should be possible. Also the sound of the speakers is good. The fan runs all the time, but its noise level is still passable. The surface temperature is overall alright. The T7700 CPU the reviewed notebook was equipped with, provides excellent performance. You've also the choice regarding CPU, RAM, and hard disk. 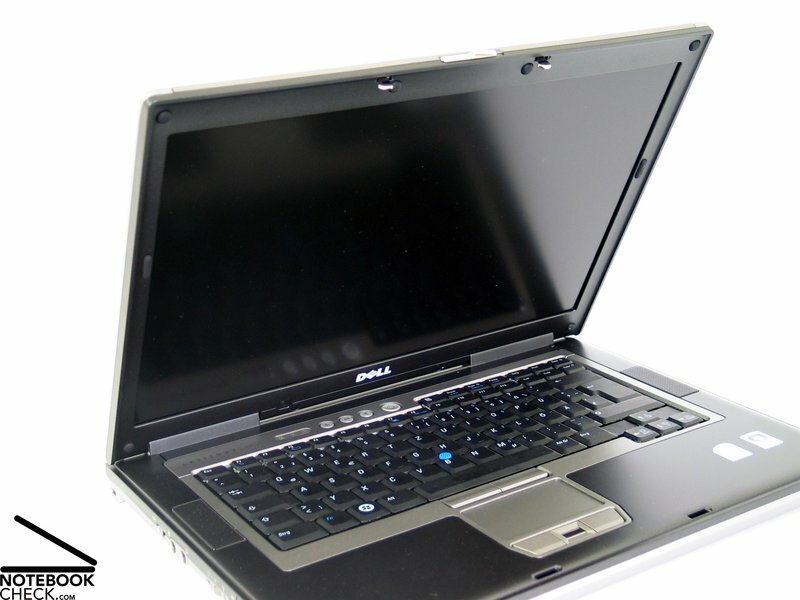 A number of display versions can be chosen for the D830, among others the WSXGA+ panel the reviewed notebook was equipped with. The input devices are user-friendly and the keyboard convinces by a clear layout. 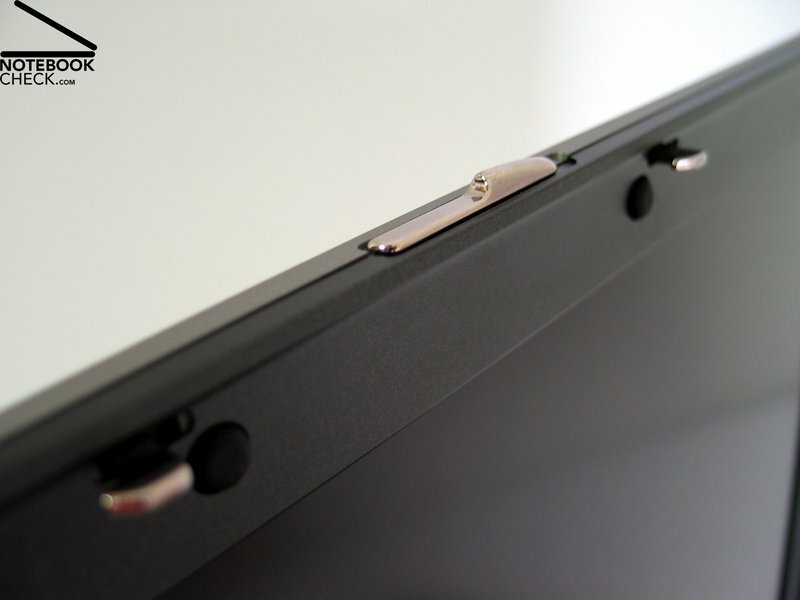 Although the metal display hinge is very robust, it unfortunately clatters clearly. ...and one can expect a long durability. ...a decent gray in gray design. ...which makes a runtime of up to 9 hours possible.